The Prime Minister, Tony Abbott, promised to create a national domestic violence order (DVO) scheme, arguing that an urgent priority for the Council of Australian Governments (COAG) this year is to address this problem. But, remarkably, the Prime Minister shied away from talk of a national royal commission into domestic violence, saying it was a states’ issue. Although it is crucial for our legal system to protect all victims of domestic violence, at the same time, in the context of family relations, we must recognise that restraining orders are occasionally sought for purely collateral reasons, such as when people apply for DVOs when they are not truly the victims of domestic violence. The apparent problem lies in how these orders are issued and the grounds on which they are made. Moreover, there is a visible lack of scrutiny regarding the nature and substance of these complaints. While it is not possible to know if every violence order is legitimately applied, it is rather undeniable that many applications for such orders are misused or otherwise unmeritorious. Timing is a possible sign that a person might have sought such an order for reasons other than any reasonable concern for physical safety. A common example is that, after individuals initiate custody proceedings at the Family Court for divorce and child custody, unethical lawyers instruct those individuals to apply for restraining orders so that they might obtain an upper hand during the court proceedings. According to David Collier, a recently-retired judge from the Parramatta Family Court, these orders have now become a “major weapon” in the war between parents who wish to secure sole custody of their children. Undeniably, the overwhelming majority of magistrates in Australia share this perception. For instance, a survey of 38 magistrates in Queensland revealed that 74 per cent of them agreed with the assumption that restraining orders are often used for tactical purposes. Similarly, a survey of 68 magistrates from New South Wales indicated that 90 per cent of them agreed with the statement that restraining orders are often sought as tactical devices to aid applicants with family law disputes, including depriving the former partners of any contact with their children. The Australian public knows that false accusations of domestic violence are made, but virtually never punished when the claim is disproved. In a national survey with over 12,500 respondents, more than half agreed with the statement that “women going through custody battles often make up or exaggerate claims of domestic violence in order to improve their case, and only 28 per cent disagreed”. While one might expect that men would be more inclined to agree, 42 per cent of women did so as well. At a minimum level, due process requires sufficient evidence to convict. Additionally, due process requires that proceedings be designed to allow the accused of a criminal offence or a civil wrong to be heard in a regular court, and be fully informed of the nature of the accusation. Furthermore, due process necessitates the presumption of innocence and the right to be judged impartially, including that the accused receives an adequate opportunity to prepare and to respond. “Even the intelligent and educated layman has small and sometimes no skill in the science of law. If charged with crime, he is incapable, generally, of determining for himself whether the indictment is good or bad. He is unfamiliar with the rules of evidence. “Left without the aid of counsel he may be put on trial without a proper charge, and convicted upon incompetent evidence, or evidence irrelevant to the issue or otherwise inadmissible. He lacks both the skill and knowledge adequately to prepare his defence, even though he had a perfect one. “He requires the guiding hand of counsel at every step in the proceedings against him. Without it, though he be not guilty, he faces the dangers of conviction because he does not know how to establish his innocence. Unfortunately, restraining orders lack the proper application of due process because the evidentiary standards are dramatically relaxed. In the vast majority of such orders, they have no evidentiary foundation. These orders are often granted on a “without admissions” basis that have virtually no evidentiary value in themselves. Indeed, an analysis of court files in New South Wales reveals that the courts often deal with cases in less than three minutes and are resolved by consent without admissions. The information provided in such complaints is typically brief and tends to focus on one single incident. Since there is often a good amount of non-relevant information, these allegations receive only the briefest examination. Further, references to “fear” are included in a routine or habitual manner, “frequently as a bald statement to conclude a complaint without any reasoning or thematic connection to the victim’s experience”. Of course, having only a few days to defend oneself from an accusation of domestic violence is not nearly enough time, which is compounded by the stress caused by being thrown out of one’s home by armed police officers at the behest of the domestic partner. More often than not, the respondents may lose access to their children and even their joint bank accounts. This is because the applicant might have spent several months, or even years, with a lawyer, planning to file an order, while the accused is given only a couple of days to prepare a defence. Following a final hearing, the accused person who is subsequently found guilty through such a process will have his or her life and reputation forever tarnished. An excessively broad interpretation of domestic violence aggravates the situation. The legal definition of family and domestic violence currently encompasses a wide range of behaviours, a large proportion of which are not found in the criminal law. As a result, data from the Western Australia Police indicates that domestic violence incident reports (DVIRs) classified as crime accounted for only 40 per cent of all domestic violence restraining orders in 2012. For instance, official illustrations on domestic violence now include such abstract considerations as “extreme jealousy”, “constant criticising” and “ignoring the victim’s rights”. Moreover, Professor Parkinson conducted a study about post-separation conflict where the participants who had sought and obtained violence orders against their domestic partners referred to “abusive behaviour” as something that their lawyers (and domestic violence groups) suggested, but did not directly perceive the abuse themselves. Being deprived of one’s home is always a traumatic experience, and each year thousands of Australians are issued with domestic violence orders that evict them from their own homes. Since such orders are often granted on an ex parte basis, armed police officers evict surprised owners from their property without an evidentiary hearing and without any admissions. Accordingly, such orders nullify the legal rights of homeowners to occupy their homes, thus creating a crime out of the ordinarily innocent act of returning home. As such, a property right is nullified and the family is transformed into a public space by which the state “deliberately and coercively reorders and controls private rights and relationships in property and marriage — not as an incident of prosecution, but as its goal”. In this legal context, Jeannie Suk of Harvard Law School concludes that “the police presence is required in that space and the state gains a foothold for its supervisory presence and control in the home”. Domestic violence is indeed a grave issue, and initiating a conversation of this kind should by no means imply going soft on the problem. However, the sympathy which is due to those who live in fear of domestic violence should be extended to those who are the victims of false accusations of domestic violence. Unfortunately, one seldom hears about the plight of law-abiding citizens who have become the innocent victims of such accusations. As has been shown above, not everyone who applies for a restraining order is necessarily a genuine victim of domestic violence, just as not everyone who is subject to such an order is necessarily the perpetrator of domestic violence. This is because the person who is protected by the order may very well be the perpetrator of violence, whereas the person bound by the order may be the real victim. It is to be hoped that our Prime Minister will take these issues into account before he pushes even further for the creation of this national domestic violence order scheme. 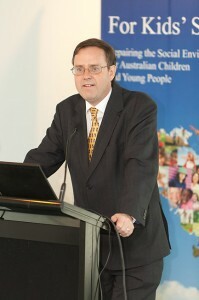 Augusto Zimmermann, LLB, LLM, PhD (Monash), Chair in Legal Theory and Constitutional Law, Murdoch University School of Law; Law Reform Commissioner, Law Reform Commission of Western Australia; President, Western Australian Legal Theory Association (WALTA); Fellow at the International Academic for the Study of the Jurisprudence of the Family (IASJF). The author is grateful to Mr Bruce Linkermann for his insightful opinions and suggestions during the elaboration of this paper. Harriet Alexander, “False abuse claims are the new court weapon, retiring judge says”, Sydney Morning Herald, July 6, 2013. Belinda Carpenter, Susan Currie and Rachael Field, “Domestic violence: views of Queensland magistrates”, Nuance: the international journal of family policy and related issues, No. 3, 2001, pp.17, 21. See also: Patrick Parkinson, Judith Cashmore and Atlanta Webster, “The views of family lawyers on apprehended violence orders after parental separation”, Australian Journal of Family Law, Vol. 24, 2010, pp. 313, 317. Jennifer Hickey and Stephen Cumines, Apprehended Violence Orders: A Survey of Magistrates (Sydney: Judicial Commission of New South Wales, 1999), Monograph Series: No. 20, p.37. Patrick Parkinson, “How widespread are false allegations of abuse?”, News Weekly, June 25, 2011. Patrick Parkinson, “Family Law Legislation Amendment (Family Violence) Bill 2011”: submission to Senate Committee on Legal and Constitutional Affairs, 6. Christine Sypnowich, “Utopia and the rule of law”, in David Dyzenhaus(ed),Recrafting the Rule of Law: The Limits of Legal Order (Oxford: Hart Publishing, 1999), p.180. Some American judges argue that due process protects only the guarantees of the U.S. “Bill of Rights”. Others, however, contend that the courts can also protect “fundamental rights” not included in that bill of rights. Rodney L. Mott, Due Process of Law  (New York: Da Capo Press, 1973), p.592. The same expression, “due process”, would be later on enshrined in the Fifth Amendment to the U.S. Constitution, an amendment which says that no-one “shall be deprived of life, liberty, or property without a due process of law”. Finally, a similar provision is found in the Fourteenth Amendment to the U.S. Constitution, which forbids any state-member of the American Federation to “deprive any person of life, liberty or property without due process of law, nor deny to any person within its jurisdiction the equal protection of the laws”. Powell v Alabama 287 U.S. 45 (1932). Parkinson, Cashmore and Webster, op. cit., pp. 313, 317. David N. Heleniak, “The New Star Chamber: the New Jersey Family Court and the Prevention of Domestic Violence Act”, Rutgers Law Review, Vol. 57, No. 3, Spring 2005, pp. 1009, 1014-16. Stephen Baskerville, “Divorced from reality”, Touchstone Magazine (Chicago, Illinois), Vol. 22, Issue 1, January/February 2009. Patrick Parkinson, Judith Cashmore and Judi Single, “Post-separation conflict and the use of family restraining orders”, Sydney Law Review, Vol. 33, No. 1, March 2011, pp.1, 14. Jeannie Suk, “Criminal law comes home”, Yale Law Journal, Vol. 116, 2006, pp. 1, 31. Parkinson, Cashmore and Single, op. cit., pp. 1, 38. David N. Heleniak, op.cit., pp. 1009, 1020. See also: Cathy Young, “Hitting below the belt”, Salon.com, October 25, 1999. The applicant is the person who first comes to the Court asking for orders to be made.